1 case/100 cups. Quantity shown below is for 1 case. 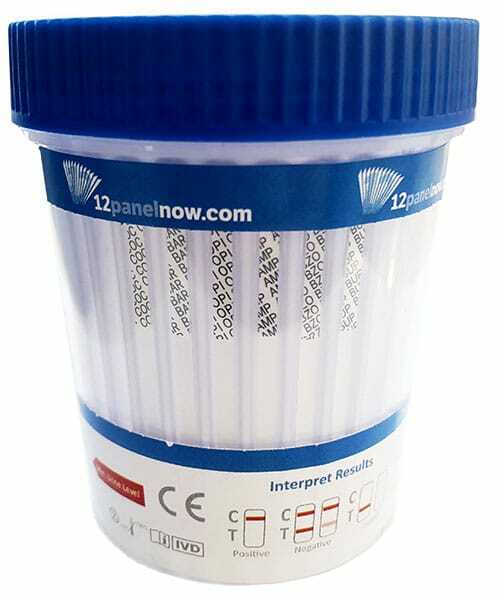 Bring the 6 Panel Drug Test Cup, specimen, and/ or controls to room temperature (59-78 degrees F) before use of stored at refrigerated temperatures. Remove the cup from sealed pouch and use it as soon as possible. Have the donor date and initial the body label. Donor provides a urine specimen in the drug testing cup and screws cap on top of it. Start timer immediately. Operator checks the cap for tightness. Remove the peel-off label. 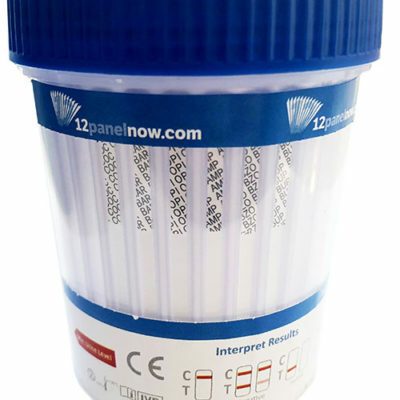 Check the temperature strip label at 2-4 minutes after specimen collection for the fresh urine specimen. A green color will appear to indicate the temperature of the urine specimen. The proper range for an adulterated specimen is 90-100 degree F (32-38 degree C). Drug test results are indicated by the presence or absence of colored band(s) in the result area of the test strips. The result should be read at 5 minutes. Do not interpret the result after 8 minutes. Positive test results must be confirmed by another drug testing method. Send the cup and urine specimen intact to a toxicology laboratory for confirmation.